Access our media kit to download press photos, biographies, and fact sheets about USUO. Access our annual report as well as annual education reports documenting the statewide reach of our outreach programs. 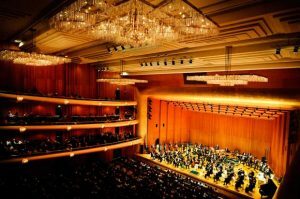 Request press access to cover an upcoming Utah Symphony, Utah Opera, or Deer Valley® Music Festival event.